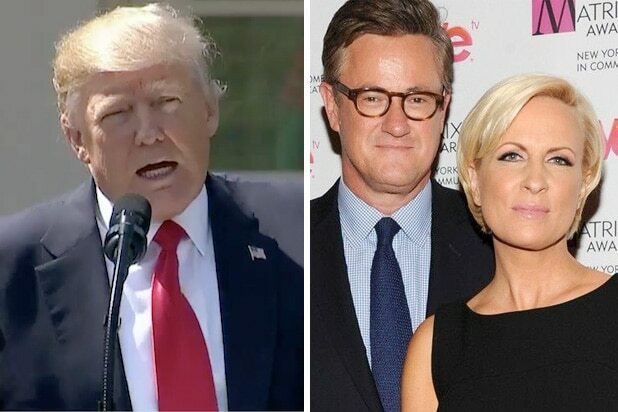 Joe Scarborough spent another day railing against about gun violence, and accused President Donald Trump of being “impotent” on the issue, comparing him to biblical villain Pontius Pilate. “Why is Donald Trump impotent? Why is he impotent when it comes to this? He’s supposed to be a man of action. He is letting our children get slaughtered,” he added. In the Bible, Pilate was the Roman prefect of Judaea, who presided over the trial of Jesus Christ. The biblical allusion came as part of a broader denunciation of the gun lobby in the United States by Scarborough after 19-year-old accused gunman Nikolas Cruz walked into his former high school in Parkland, Fla. and murdered at least 17 people with an AR-15. “They’re extreme lobbyists at the NRA in Washington, D.C, that do not even represent the views of most NRA members across America, most Republicans, most conservatives across America,” he said. On Thursday, Scarborough decried gun violence, blaming “useful idiots” in the media and politics who aren’t tougher on the gun lobby in an attempt to silence the inevitable calls for action that arise after mass shootings.